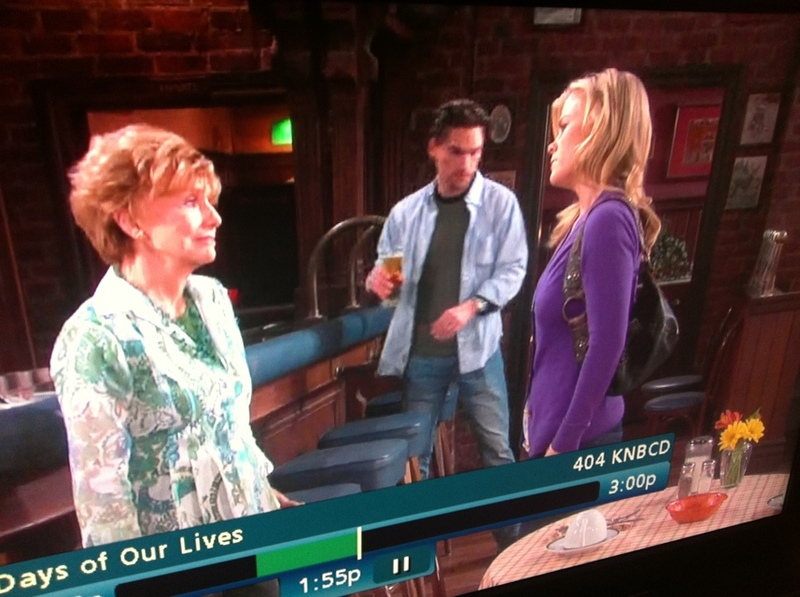 Spotted: Canadian Tuxedo on Days of Our Lives! Worlds are colliding! One of our pet projects and part of the Dope franchise, is “I’m Dope, and I still watch Days.” Yesterday we spotted a Canadian Tuxedo at the Brady Pub! Imposter Rafe and Brady Black were dangerously close to rocking the look. Both donned dark blue shirts with jeans yesterday. We knew Days of Our Lives was dope. Now they have the denim to prove it.